Households in the first of half last year were paying about half a penny less per kilowatt hour than the EU average. The cost of electricity is well below that paid in several European countries. The price of a unit of power here was nine pence less than in Denmark and three pence less than in the Republic of Ireland. 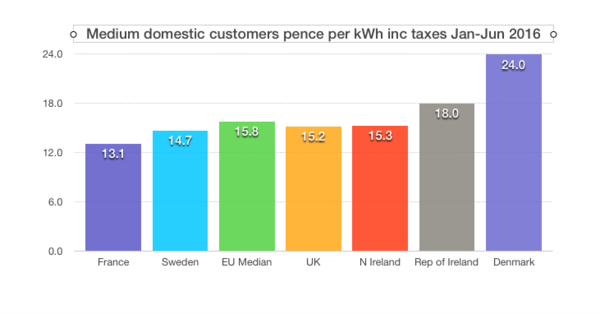 However the low rate of VAT on energy flatters the comparison with some other European countries where energy is taxed more heavily than in the UK.